Most of my courses support the majors in Environmental Science Systems and Environmental Studies. The former is a uniquely science-based version of Environmental Science (click here for link to the program page). The latter is a policy oriented version of the study of environmental issues (click here for link to program page). Currently I direct both of these programs, and also serve as Director for the Center for the Study of Environmental Change, the hub that links environmental curricula, research and outreach at Le Moyne (click here for link to Center web page). As a teacher, I encourage students to conduct geological or environmental research projects that involve field work and/or use of our modern laboratories that are equipped with a new JEOL JSM 6510-LV SEM with EDS, a new Bruker D2 Phaser XRD, and a Leco TruSpec C/N. Mesozoic Systems. Much of my work focuses on the paleogeography and paleoclimate of the Mesozoic world (probably a consequence of my childhood fascination with dinosaurs). My current research in this area examines the environmental conditions (climatic, atmospheric, etc.) as dinosaurs rose to ascendancy in the Late Triassic, the record and causes of extinctions for the early Mesozoic, and the global environmental processes responsible for mass extinctions in general. Primarily, this research is conducted through field studies (sedimentology and stratigraphy) of early Mesozoic formations in the Four Corners area and the Canadian Maritimes. Volcanology. A secondary interest is in volcanology, particularly the recognition of volcanic processes through the study of volcanoclastic deposits. Most of my work in this area has been concentrated on the volcanoes of southern Italy (Etna, Stromboli and the Iblean Plateau of Sicily), where I have worked for some years with Dr. Sonia Calvari of the INGV in Catania, Sicily;. We have recently completed work on an introductory text, Volcanoes: Windows on the Earth, is now available from the New Mexico Museum of Natural History Press (click here for download link). I am also deeply interested in the effects on the climate and environment of large-scale volcanic eruptions, such as those of large igneous provinces. 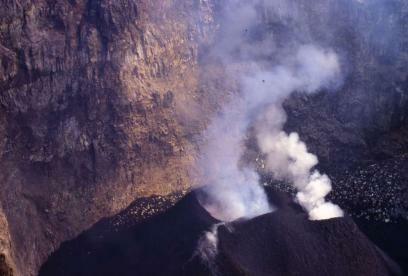 On the summit of Etna, looking into the Bocca Nuova crater in 2002. Our Earth Environment. Most importantly, I have passionate concern for the rapidly changing environment of our Earth. The realization that modern climate change and habitat loss are already having a significant impact on ecology drives my research with Le Moyne students investigating changes in soil and forest structure and carbon cycle dynamics in such diverse locations as Iceland and Costa Rica. I encourage solidarity between environmental action groups and faith traditions in addressing these concerns. 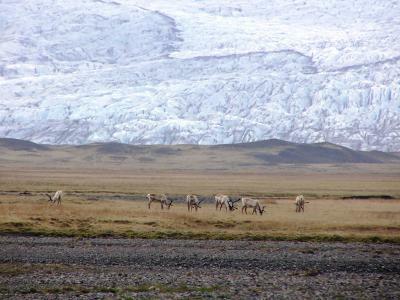 Reindeer grazing in front of Hoffelsjökull in southern Iceland. Click here for complete CV to see list of ca. 100 papers and books and many meeting abstracts. PDFs for most of these are available from my site on ResearchGate. Coming Soon from Springer Publishing, Topics in Geobiology: The Late Triassic World: Earth in a Time of Transition, a collection of new papers edited by Lawrence Tanner. Tanner, L.H., in press. Climates of the Late Triassic: perspectives, proxies and problems. In: Tanner, L.H. (ed. ), 2017(?) The Late Triassic World: Earth in a Time of Transition. Springer, Topics in Geobiology series. Lucas, S.G., Tanner, L.H., in press. The missing mass extinction at the Triassic-Jurassic boundary. In: Tanner, L.H. (ed. ), 2017(?) The Late Triassic World: Earth in a Time of Transition. Springer, Topics in Geobiology series. Clutson, M.J., Brown, D.E., Tanner, L.H., in press. Distal processes and effects of multiple Late Triassic terrestrial bolide impacts: Insights from the Norian Manicouagan event, northeastern Quebec, Canada Tanner, L.H. (ed. ), 2017(?) The Late Triassic World: Earth in a Time of Transition. Springer, Topics in Geobiology series. Tanner, L.H., Lucas, S.G., 2017. Paleosols of the Upper Paleozoic Sangre de Cristo Formation, north-central New Mexico: Record of early Permian palaeoclimate in tropical Pangaea. Journal of Palaeogeography 6(2), 144-162. Khalifa, M.A., Tanner, L.H., 2017. High frequency peritidal cycles in the Upper Cretaceous (Turonian) El Hefhuf Formation, Bahariya Oasis, Western Desert, Egypt. Journal of African Earth Sciences 130, 223-237. Tanner, L.H., Lucas, S.G., 2016. Stratigraphic distribution and significance of a 15 million-year record of fusain in the Upper Triassic Chinle Group, southwestern USA. Palaeogeography, Palaeoclimatology, Palaecology 461, 261-271. Weems, R.J., Tanner, L.H., Lucas, S.G., 2016. Synthesis and revision of the lithostratigraphic groups and formations in the Upper Permian?–Lower Jurassic Newark Supergroup of eastern North America. Stratigraphy 13, 111-153. Tanner, L.H., Wilckens, M.T. *, Nivison, M.A. *, Johnson, K.M., 2016. Biomass and soil carbon stocks in wet montane forest, Monteverde Region, Costa Rica: Assessments and challenges for quantifying accumulation rates. International Journal of Forestry Research, 2016(11):5182043. Rinehart, L. F., Lucas, S. G., Tanner, L. H., Nelson, W. J., Elrick, S. D., Chaney, D. S., DiMichele, W. A., 2015. Plant architecture and spatial structure of an early Permian woodland buried by flood waters, Sangre de Cristo Formation, New Mexico. Palaeogeography, Palaeoecology, Palaeoclimatology 424: 91-110. Tanner, L.H., Galli, K.G., Lucas, S.G., 2014. Pedogenic and lacustrine features of the Brushy Basin Member of the Upper Jurassic Morrison Formation in western Colorado: Reassessing the paleoclimatic interpretations. Volumina Jurassica 12 (2): 115-130. 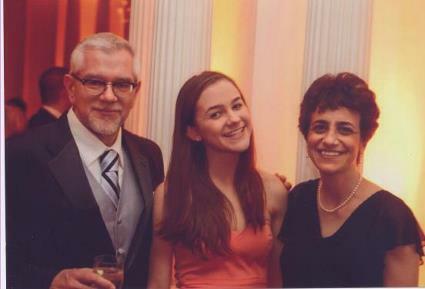 Steiner, M., Tanner, L.H., 2014. Magnetostraigraphy and paleopoles of the Kayenta Formation and the Tenney Canyon Tongue. Volumina Jurassica 12 (2): 31-38. Tanner, L.H., Smith, D. L., Curry, J. *, Twist, J. *, 2014. Effect of land use change on carbon content and CO2 flux of cloud forest soils, Santa Elena, Costa Rica. Open Journal of Soil Science. 4, 64-71; dx.doi.org/10.4236/ojss.2014.42009. Tanner, L.H., 2013. Surface Morphology of Basalt Columns at Svartifoss, Vatnajökulsþjóðgarður, Southern Iceland. Journal of Geological Research, doi.org/10.1155/2013/482067. Tanner, L.H., Walker, A.E., Nivison, M.*, Smith, D.L., 2013. Changes in soil composition and floral coverage on a glacial foreland chronosequence, southern Iceland. Open Journal of Soil Science 3, 191-198. Tanner, L.H., 2013. A Pennsylvanian tetrapod trackway from Joggins, Nova Scotia: the size continuum of Batrachichnus salamandroides. New Mexico Museum Natural History and Science, Bulletin 60, 427-432. Tanner, L.H., Lucas, S.G., 2013. Degraded wood in the Upper Triassic Petrified Forest Formation (Chinle Group), northern Arizona: Differentiating fungal rot from arthropod boring. New Mexico Museum Natural History and Science, Bulletin 61, 582-588. Tanner, L.H.., 2013. The enigmatic Quaco cobbles, Upper Triassic, Canadian Maritimes: Deformation by seismic shock or tectonics? New Mexico Museum Natural History and Science, Bulletin 61, 577-581. Tanner, L.H., Lucas, S.G., 2012. Carbonate facies of the Upper Triassic Ojo Huelos Member, San Pedro Arroyo Formation (Chinle Group), southern New Mexico: Paleoclimatic implications. Sedimentary Geology 273-274, 73-90. Tanner, L.H., Wang, X., Morabito, A.C.*, 2012. Fossil charcoal from the Middle Jurassic of the Ordos Basin, China, and its paleoatmospheric implications. Geoscience Frontiers doi:10.1016/j.gsf.2011.12.001. Lucas, S.G., Tanner, L.H., Kozur, H.W., Weems, R.E., Heckert, A.B., 2012. The Late Triassic timescale: Age and correlation of the Carnian–Norian boundary. Earth-Science Reviews 114, 1-18. Lucas, S.G., Tanner, L.H., Donohoo-Hurley, L.L., Geissman, J.W., Kozur, H.W., Heckert, A.B., Weems, R.E., 2011. 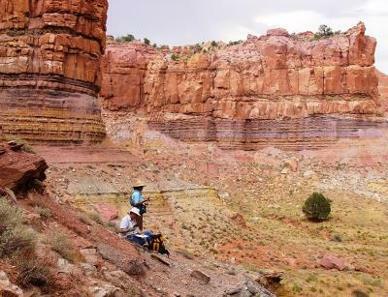 Position of the Triassic-Jurassic boundary and timing of the end-Triassic extinctions on land: Data from the Moenave Formation on the southern Colorado Plateau, USA. Palaeogeography, Palaeoecology, Palaeoclimatology 304, 194-207. Marzoli, A., Jourdan, F. Puffer, J.H., Cuppone, T., Tanner, L.H., Weems, R.E., Bertrand, H., Cirilli, S., Bellieni, G., De Min, A., 2011. Timing and duration of the Central Atlantic magmatic province in the Newark and Culpeper basins, eastern U.S.A. Lithos 122, 175-188. Calvari, S., Tanner, L.H., 2011. The Miocene Costa Giardini diatreme, Iblean Mountains, southern Italy: Model for maar-diatreme formation on a submerged carbonate platform. Bulletin of Volcanology 73, 557-576. Tanner, L.H. and Khalifa, M.A., 2010, Origin of ferricretes in fluvial-marine deposits of the Lower Cenomanian Bahariya Formation, Bahariya Oasis, Western Desert, Egypt, submitted to Journal of African Earth Sciences 56, 179-189. Tanner, L.H., 2010. Cyclostratigraphic record of the Triassic: a critical examination. In, Lucas, S.G. (ed. ), The Triassic Timescale, Geological Society, London, Special Publication 334, 119-137. Tanner, L.H., 2010. 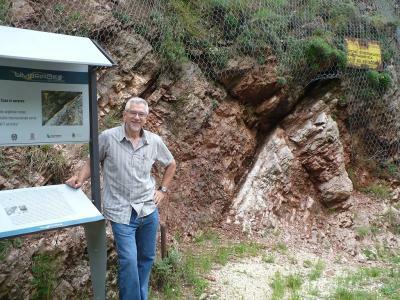 The Triassic isotope record. The Triassic Timescale, In, Lucas, S.G. (ed. ), The Triassic Timescale, Geological Society, London, Special Publication 334, 103-118. Tanner, L.H. and Lucas, S.G., 2010. Deposition and deformation of fluvial-lacustrine sediments of the Upper Triassic - Lower Jurassic Whitmore Point Member, Moenave Formation, northern Arizona. Sedimentary Geology 223, 180-191. Tanner, L.H., 2010. Terrestrial carbonates as indicators of palaeoclimate. In: Alonso-Zarza, A.M. and Tanner, L.H. (Eds), Carbonates in Continental Environments: Geochemistry, Diagenesis and Applications. Elsevier Developments in Sedimentology Series vol. 62., pp. 180-214. Cirilli, S., Marzoli, A., Tanner, L.H., Bertrand, H., Buratti, N., Jourdan, F., Bellieni, G., Kontak, D., Renne, R.P., 2009. The onset of CAMP eruptive activity and the Tr-J boundary: Stratigraphic constraints from the Fundy Basin, Nova Scotia. Earth and Planetary Science Letters. Jourdan, F., Marzoli A., Bertrande, H., Cirilli, S., Tanner, L.H., Kontak, D.J., McHone, G., Renne, P.R., Bellieni, G., 2009. 40Ar/39Ar ages of CAMP in North America: implications for the Triassic-Jurassic boundary and the 40K decay constant bias. Lithos 110-167-180. Tanner, L.H., Kyte, F.T. and Walker, A.E. *, 2008. Multiple Ir anomalies in uppermost Triassic to Jurassic-age strata of the Blomidon Formation, Fundy basin, eastern Canada. Earth and Planetary Science Letters. 274, 103-111. Tanner, L.H., Smith, D.L., and Allan, A. *, 2007. Stomatal response of swordfern to volcanogenic CO2 and SO2 from Kilauea volcano, Hawaii. 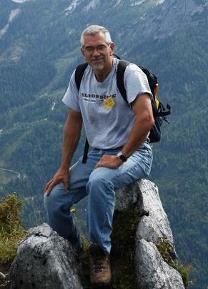 Geophysical Research Letters 34: L15807, doi:10.1029/2007GL030320. Lucas, S.G. and Tanner, L.H., 2007. The nonmarine Triassic-Jurassic boundary in the Newark Supergroup of eastern North America. Earth-Science Reviews 84: 1-20. Tanner, L.H. and Lucas, S.G., 2007. The Moenave Formation: Sedimentologic and stratigraphic context of the Triassic-Jurassic boundary in the Four Corners area, southwestern U.S.A. Palaeogeography, Palaeoecology, Palaeoclimatology 244: 111-125. Tanner, L.H. and Lucas, S.G., 2006. Calcretes of the Upper Triassic Chinle Group, Four Corners region, southwestern U.S.A.: climatic implications, in Alonso-Zarza, A.M. and Tanner, L.H., eds., Special Paper 416: Paleoenvironmental Record and Applications of Calcretes and Palustrine Carbonates: Geological Society of America, pp. 53-74. Tanner, L.H., Lucas, S.G., and Chapman, M.G., 2004. Assessing the record and causes of Late Triassic extinctions. Earth-Science Reviews 65, 103-139. Tanner, L.H., Hubert, J.F., Coffey, B.P., and McInerney, D.P., 2001. Stability of atmospheric CO2 levels across the Triassic/Jurassic boundary. Nature 411: 675-677. Tanner, L.H., 2000. Palustrine/lacustrine and alluvial facies of the Norian Owl Rock Formation (Chinle Group), Four Corners region, southwestern USA: Implications for Late Triassic paleoclimate. Journal of Sedimentary Research, v. 70. No. 5. Even I know that research isn’t everything. I wouldn’t be doing all the neat stuff without the support of my great family. Emily, an alumna of Fordham University and Syracuse University, is a PR professional in New York City, and also a talented pianist. My wife Linda LeMura, is a noted researcher in the field of physiology, with a specialty in the study of pediatric obesity and presently the President of Le Moyne College (the first lay-woman to hold the presidency of a Jesuit institution in the world). I’m fortunate to have them accompany me (occasionally) in the field.